Bhaddar Balcony (also called Bhadra Kacheri) is located near Aggad (Arena/Colosseum), near Pani Gate, Vadodara (Baroda). 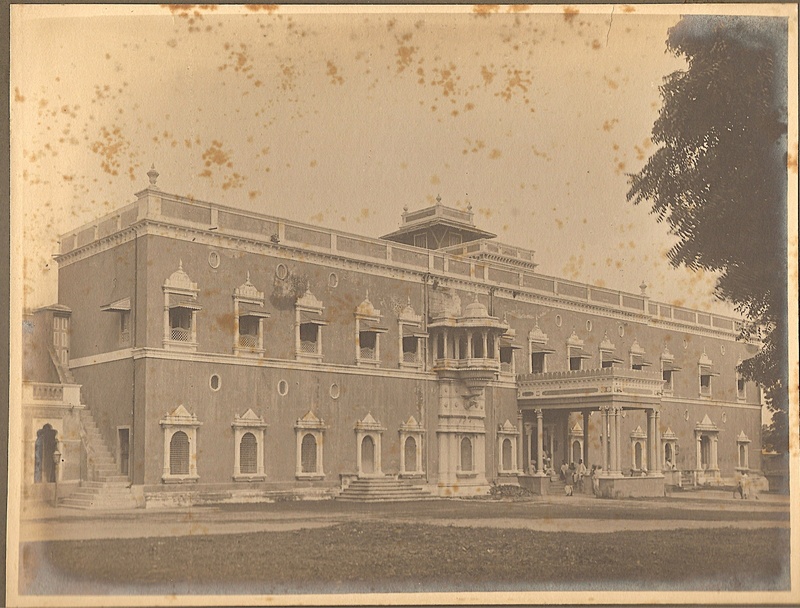 It was the first known residence of the rulers of Baroda. It is Pretty famous for its carved out Window, which is still erected. The Sad part is only the front structure of Bhaddar Balcony is now remaining. Other back structure and the Arena have gone to extinct now. Bhaddar Balcony is actually a single piece of Stone which is carved out in a Lotus Shape. Noted archaeologist R N Mehta has described the building in his book ‘Vadodara: Ek Adhyayan’ and states that the structure was newer than the Mandvi Gate and came up towards the end of the seventeenth century or the beginning of the eighteenth century. Mehta states that the building was the old palace with smaller rooms on the ground floor and larger ones on the upper floor. He states that the upper floor had a Darbarkhand, Zanankhana, a room of the ruler. Mehta notes that the building was made in a style that developed after the Mughal ruler Shahjahan. The building is made of brick, lime and wood. It has an ornate Jharokha made of marble that stands out in the entire structure. In a thesis on the city’s planning and architecture architect Sanjeev Joshi states that Bhadra was the residence of the rulers of Vadodara till the end of the eighteenth century. It was only around 1800 that Sarkarwada came up and Bhadra gradually got transformed into a place from where the administration operated. It was modified on several occasions and additions were made to the original structure.